Under current rules introduced by the Ministry of Education, Universities and Research in 2010, the majority of the teaching carried out in Italian Universities is organised directly by University Departments. The Schools/Colleges/Divisions that typically coordinate teaching at a supra-departmental level at most Universities were abolished in 2010 but with a few exceptions (see below). Rarely, however, can a Department offer all the teaching necessary in order to sustain typical undergraduate and graduate Courses. Individual Departments therefore take upon themselves the role of ‘mini Schools’ and need to negotiate and exchange teaching staff with other Departments in order to secure the teaching roles necessary in order to implement viable Courses. Further, a minimalist versions of Schools/Colleges/Divisions has been retained, in Pavia, for Engineering and Medicine and have a role in coordinating the Courses offered by the University in these areas of learning. Of the three Courses, the responsibility of which is currently assigned to the Department of Molecular Medicine one (a two year MSc in Biotechnology taught in Italian) is coordinated directly by the Department, the remaining two (a six year Medicine & Surgery Course taught in English and known locally as the Harvey Course and a three year BA Course for medical laboratory technicians) are coordinated jointly by the Department and the local School of Medicine. Undergraduate Courses in Science (where Courses are longer than a standard 3 year BA Course, the duration in years is indicated in bracket): Biotechnology, Biological Sciences, Bioengineering, Pharmacy (5 yr), Chemistry and Pharmaceutical Technology (5 yr). Undergraduate Courses in Medicine (where Courses are longer than a standard 3 year BA Course, the duration in years is indicated in bracket): Physiotherapy, Dental Hygiene, Ophtalmology, Obstetrics, Cardiovascular Pathophysiology, Radiology & Radiotherapy, Ortopaedics, Dietician, Nursing, Preventive Occupational Medicine, Occupational Therapy, Terapia Occupazionale, Physical Education, Psychiatric Rehabilitation, Neuropathophysiology, Child Neuro/Motor Therapies, Dentistry (6 yr) and Medicine & Surgery (6 yr). 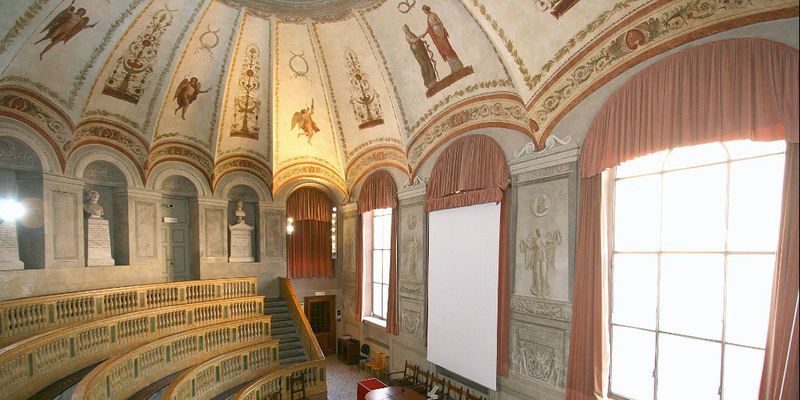 The University of Pavia is currently conducting a major review of its teaching under Prof S Govoni, Deputy Chancellor with Responsibility for Teaching, and has set aside dedicated resources in order to improve teaching standards. The scope of the Govoni review is long reaching and its conclusions will shape the number, structure and scope of the Courses taught by the University during the next 5-10 years. The Department of Molecular Medicine is actively collaborating with Prof Govoni in order to secure and early and successful completion of the Teaching Review in the areas of teaching in which the Department is active.